If you can find a business partner that compliments your own style of investing, you could potentially realize greater success than by yourself. Do you want to know how to find a business partner? Look for someone that brings something different to the table, first and foremost. 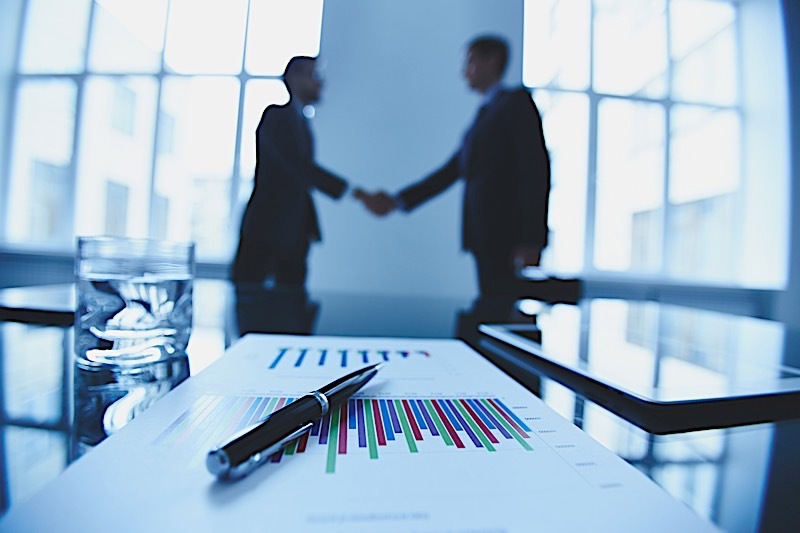 A truly great business partnership can help you realize more success than you ever imagined. As a real estate investor, you’ve no doubt heard a lot about real estate investing partnerships. If you’re new to the real estate investing game, or even if you are a seasoned investor working to take your business to the next level, you may want to find a business partner. When you approach a potential partnership with a clear understanding of what you are looking to gain and what you have to offer, creating a real estate investing partnership can be a huge step toward building and/or scaling your business. What Is A Real Estate Partnership? A partner can be a great thing for your business and for your lifestyle. When you find a business partner, you double your resources, you are able to work with someone who may have strengths in areas you lack and vice-versa, and you may even find that you get some of your free time back. When your real estate partnership is built upon a formal, legal and detailed agreement at the beginning of the business relationship, you stand to benefit financially, strategically and personally. So what exactly should be included in your partnership agreement? While each partnership is unique, one of the absolute best things you can do is make your agreement as specific and detailed as possible. What are each of the partners’ roles? This should also include a description of responsibilities for each role. How and when will you get paid, and what is each partners’ share? How do you hold each other accountable? What happens when the partnership dissolves? Most importantly, though, your agreement must be signed. I’ll say it again for the people in the back: Always get your partnership agreement signed; this is too important and has too many moving parts to be a handshake agreement. Having a business partner can help you to finance more deals by helping you qualify for financing and expanding your network of potential lenders. With a business partner on board, you have more financial resources available to you, which means banks and lenders may be more likely to approve your financing application, especially with restrictions on lending tightening. Additionally, your partner will come to the table with a whole additional set of acquaintances and connections that could serve as private lenders in the future. Don’t forget that your business partner may also be bringing money to the table, which will immediately increase your deal-making capacity. If you are completely honest with yourself, you can probably list three personal traits that you would describe as weaknesses. At the very least, you can name some tasks that drive you crazy and that you would rather never do again. A partner brings their own strengths and weaknesses, likes and dislikes, and you can therefore complement each other’s qualities. As a partnership, you can leverage each of your strengths to build a stronger business. It’s so easy to get bogged down in the minutiae of a deal, to get emotionally excited over a gorgeous (but impractical) rehab, or even to just feel lost as to what the next steps for your business should be. If you find a business partner, however, they can help mitigate all of this by providing a second set of eyes to help you see the situation from another perspective. Running a real estate investing business takes a lot of work. There is so much to do in a given day, that sometimes, it can feel that the business that was intended to create financial freedom falls a little short. When you find a business partner, you can delegate tasks as you divide and conquer your to-do list. Dividing your daily tasks, as well as bigger-picture responsibilities (these should be written into your agreement as much as possible), can let each partner focus on their strengths and interests, and can help ease the overwhelm of a seemingly endless to-do list. Your business partner already has their own network of professional connections, each of which will likely become a connection of your own, in due time. Aside from this simple addition, having a business partner means twice the opportunity to forge new connections. When two people are invested in spreading the word about your business and what you can offer to others in your community, you are even more likely to meet future lenders, team members, contractors or clients. Finding a business partner doesn’t have to be a daunting task; it simply comes down to understanding your own business needs, taking a critical, measured look at your current network, and performing your due diligence. Identify your objectives: Are you looking to find a business partner who brings a large, powerful network to the table? A partner who can invest their own capital into the business? A partner who will help you handle the acquisitions and marketing side of your business so you can focus on other aspects of the business that you might enjoy more? Ask yourself one simple question: How can I find a business partner who brings value to my business in a way that I cannot do on my own? Figure out exactly what it is that you want from a business partner. It may help to write out the qualities that are most important to you. Seek out potential partners who align with your objectives: Once you have identified what you are looking for in a partner, you can start to think about who might fit the bill. Chances are you already know some good candidates. Friends and family can be a great starting point, since you already have a foundation of trust and you likely know a good deal about their habits, personality and strengths. You can also mine your local real estate investing associations, where you will find skilled and knowledgeable potential partners already working in the field. Thoroughly vet your potential partner: What are they bringing to the table? What do they expect out of a partnership? If they have investing experience, you’ll want to see as much documentation as is available from at least five of their past deals. Ask as many questions as you can, and double check the information they are providing you as part of your due diligence. Even if you partner with your best friend from the third grade, you need to ask plenty clarifying questions to ensure everyone is on the same page. When deciding to partner with someone, these types of questions are not insulting or rude, but rather a layer of protection for both parties. Sign a detailed partnership agreement: We already covered the need for a signed agreement, but it’s so important that I’m going to say it one more time: make sure to have a formal, legal agreement to for the partnership. You may even want to take the extra step of reviewing the contract with an attorney to help you and your partner hash out any unforeseen circumstances. Getting your agreement in writing sets the stage for a productive and transparent partnership that all parties can feel confident in. Seeking out a real estate investing business partnership can be an exciting and intimidating process. The right partner can open doors that were previously beyond your horizon and can help you grow and manage your business in ways you never imagined. It is worth noting, however, that if you want to find a business partner, you can’t simply team up with the first person that comes your way; you need to find the right partner that compliments your current skill set. What types of questions have you found most essential when considering a potential partner? Share your best advice for finding and forming a partnership below.